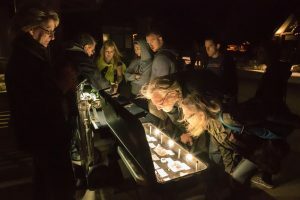 Four Peaks Mining Co. will once again be joining Focus Astronomy Outreach and Sky-Watcher USA in a Family Friendly night of stargazing! 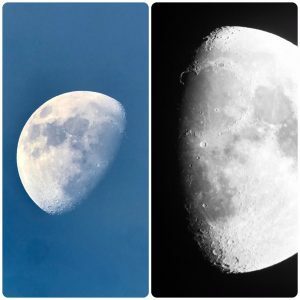 Join us from 7 to 10 pm to see Saturn, Mars and the Moon up close. 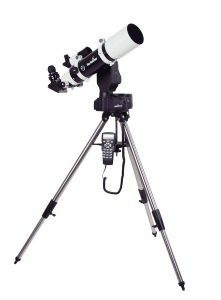 We are selling raffle tickets to win a Sky-Watcher USA Telescope. All proceeds from ticket sales will benefit The Boys and Girls Clubs of Greater Scottsdale and tickets are available now. Call or stop by the store for your $5 tickets for a chance to win this fantastic telescope! The Sky-Watcher EvoView 80/ProED 80 Package on AllView Mount is valued at $1,175. This telescope is fully computerized and comes with a high-end telescope tube. Raffle winner need not be present to win, but must take delivery in-store or pay for shipping. 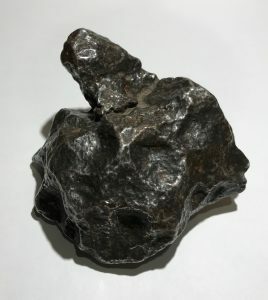 We will also be showcasing a world-class collection of meteorite slices, fragments and jewelry, with a selection for sale. September 22nd: “Meet The Miners Event” – Husband & wife miners, Mike and Tai Blank from the Four Peaks Amethyst Mine, will be here along with mine owner, Kurt Cavano, to answer all of your questions about Arizona Amethyst. 11 am-5 pm. October 13th: “Gem Cutting Demonstration” – Father and Son team, Darryl and Nick Alexander, will be showcasing their work and providing in-store gem cutting demonstrations. 11 am-5 pm. November 3rd: – Amber Trunk Show and Lectures with Sindi Schloss. We will feature amber jewelry and treasures from around the world. Lectures at 11 am & 3 pm. Trunk Show from 10 am-5 pm. December 1st: “Gem & Mineral Carving Trunk Show” – Bruce and Debbie Barlow, of Barlows Gems, will be showcasing a vast selection of delicately carved animals and sea creatures, just in time for your holiday gift giving. 10 am-5 pm.